It's celebration time! My youngest son just learned how to read. Last week he made the leap from sounding out words to reading an entire book with fluency. Yippee!!! To celebrate, I'm dedicating this week to reading. Each day I will feature some of our favorite books in English and Spanish. I will end the celebration on Friday, November, 8, 2013 with 2 giveaways featuring these wonderful Scholastic Bilingual Time-to-Discover Readers. To participate, simply leave a comment telling about your favorite or your children's favorite book(s) for each day's category. Two lucky readers will be selected using random.org at the end of the giveaway. Each participant may earn an entry for a comment each day of the week for a total of 5 entries. Please be sure to leave an email address in your comment so I have a way to contact you if you win. For the giveaway rules, please click here. Comments must be made prior to Saturday, November, 9 at 8:00 PM CST. The winners will be notified within three days of the contest termination. 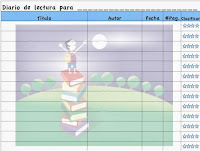 To kick off today, I've uploaded printable reading logs in English and Spanish. My kids love these because they get to rate the book. Click the images below for a printable pdf. I can't say enough great things about these little readers. I love them, and my kids love them too! 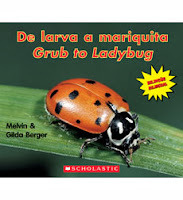 Written by Melvin and Gilda Berger, these early science readers feature simple language and fantastic pictures. These science books are easy to read and are packed with information and facts. Each book is 14 pages, not too long to frustrate beginning readers. These books are the ideal introduction to non-fiction for young children. The only place I have found new bilingual Time-to-Discover Readers is through the Scholastic Club Leo book club. Homeschool families are eligible to order from the Scholastic Book Clubs. Call 1-800-Scholastic to set up a homeschool account. There is no minimum order for Book Clubs. These early non-fiction readers are written in rhyme in the spirit of Dr. Seuss. There are over 25 books in the series with topics ranging from mammals, deserts, beaches, fish, bugs, butterflies, all the way to space. 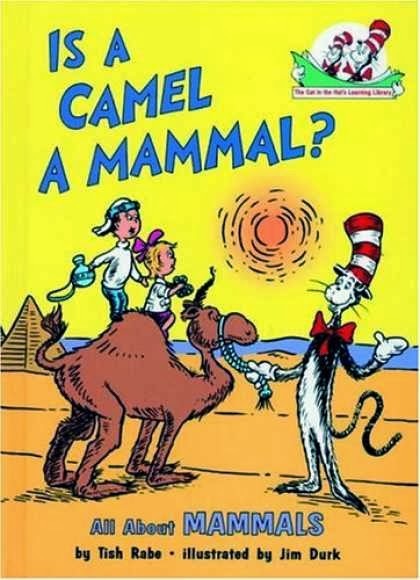 The Cat in the Hat Learning Library is another great way to instill a love for non-fiction in your kiddos. 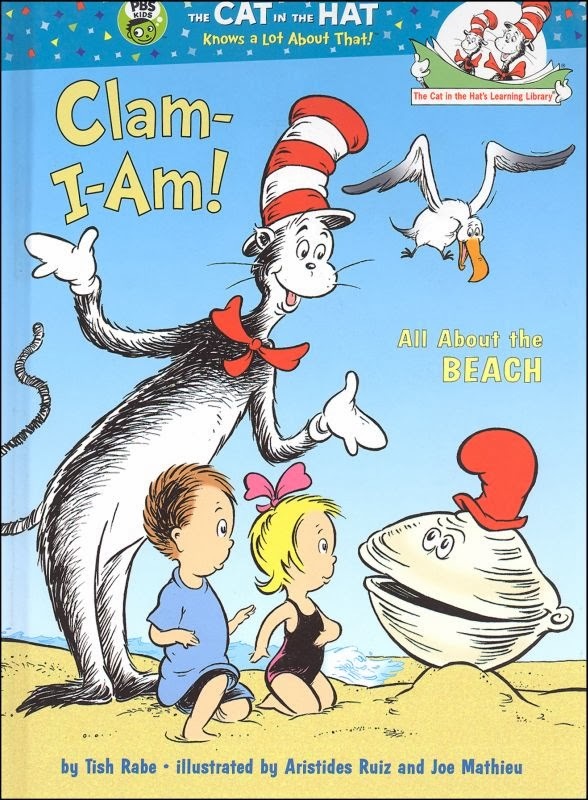 I'd have to say I love "Clam-I-Am!" That is great! The link for the rules isn't working correctly, so I hope I am entering properly. Some of my daughter's favorite books are: 10 Little Monkeys, Brown Bear Brown Bear, and Goodnight Moon. Thank you for the giveaway!